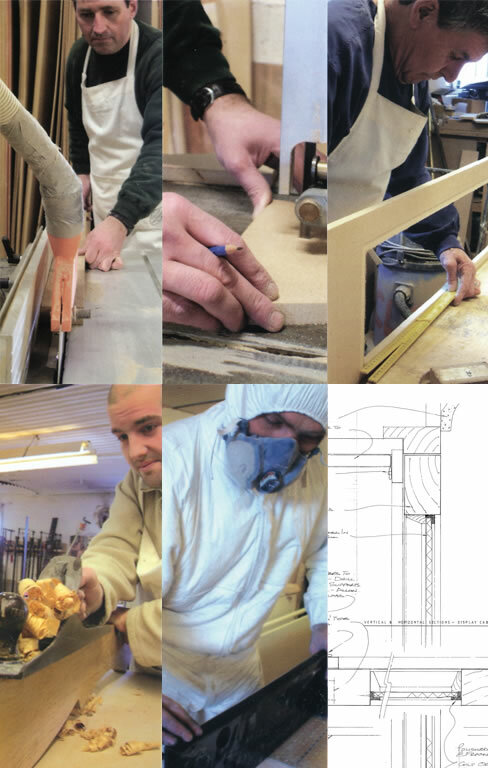 Explore our workshop where we build our bespoke joinery and project manage. Our Joinery Factory is conveniently situated 3 miles from the M25 and 25 miles from the City of London. Occupying a 5000 square foot working area which includes the latest machinery, assembly and paint spraying facility. Our design office provides our clients with full perimeter and levels surveys, measured scale CAD plans, co-ordinated full size rod drawings transposing the traditional craft to CAD. The synergy between the design office, factory, procurement and construction departments of the business enables us to deliver a full range of services on complex and / or fast track retail, commercial and residential projects with the experience extensively developed from our shop fitting roots. Our factory and craftsman embrace the traditional and very latest methods of design and construction and are consistently being challenged and engaged by architects, designers, developers and blue chip clients whom recognise the strong synergies within our business, maximising our productivity and efficiency.